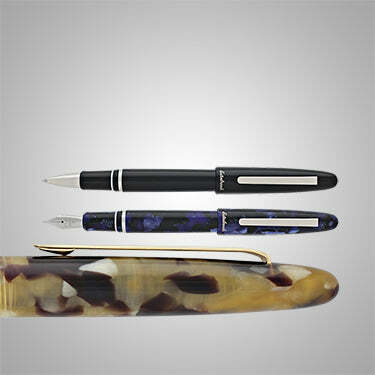 Established in 1858, Esterbrook writing instruments have played a significant role in the history of America. Esterbrook was reborn in 2018 with a dedication to the modern writer and reverence to the past. Goldspot is an authorized retailer of Esterbrook Pens. Esterbrook EstieTitled Estie, a kind of nick name for Esterbrook, is a tribute to the brand and its storied history. Has a tapered profile and sleek pocket clip. 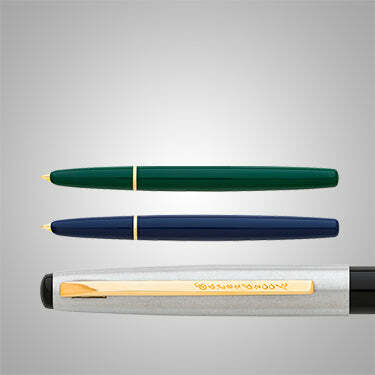 Esterbrook PhaetonEach fountain pen is made using 1960’s inspired acrylic colors. Features a removable plunger style filling system and hooded nib.